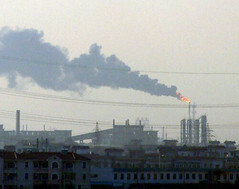 I’m also planning to move to Hangzhou and air quality is one of my main concerns with living in China. For a super place to live in China, a clean-air city with friendly people and a safe atmosphere, check out Xiamen. Hi! Great letter. I stumbled across your letter because I was looking for sample letters to show my students. I am a teacher in Guatemala. My class is currently writing letters to the President and the Mayor of Guatemala about our concern of the amount of pollution in the country and city. I hope we get as good of results as you did. ***I am making transparencies of your letter so my students can see it! John, when I searched “W.H.O. air quality hangzhou” in google, this article is at the top. The shocking news is that, according to WHO, Hangzhou ranks at 1002nd place, by air quality, among over 1100 cities from all over the world…. It seems you made a better choice to move to Shanghai…Shanghai ranks higher than Hangzhou….